I love the look of binding, and it is definitely not just for quilts (cuz we all know I don’t quilt!). 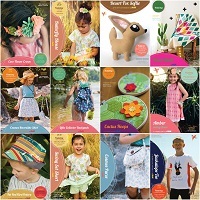 Making your own binding using cute prints is a snap to do, and the look of homemade binding always trumps both the look and the feel of the purchased product. 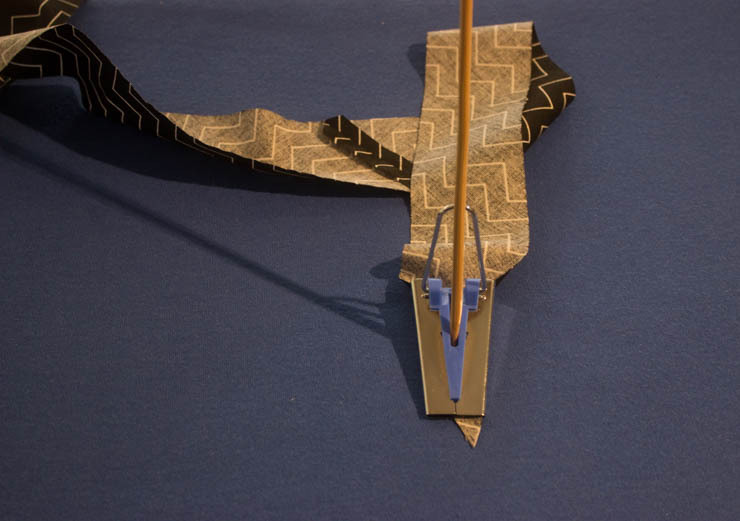 The method I am going to show you today is useful for making a small amount of binding. 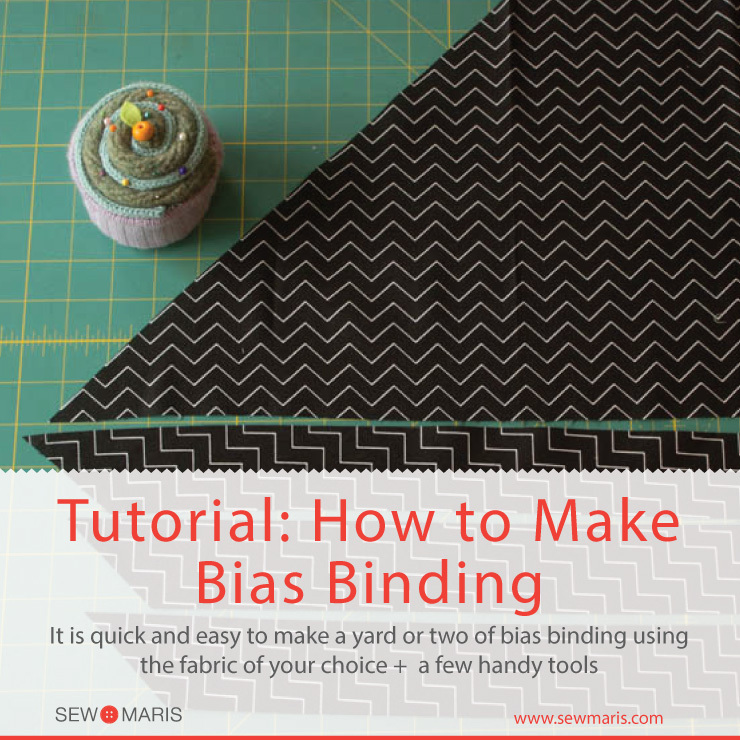 If you need yards and yards, it is better to make continuous bias—but that is a tutorial for another day! I like 100% cotton fabric for most of my binding needs, but any lightweight fabric that presses well will work. 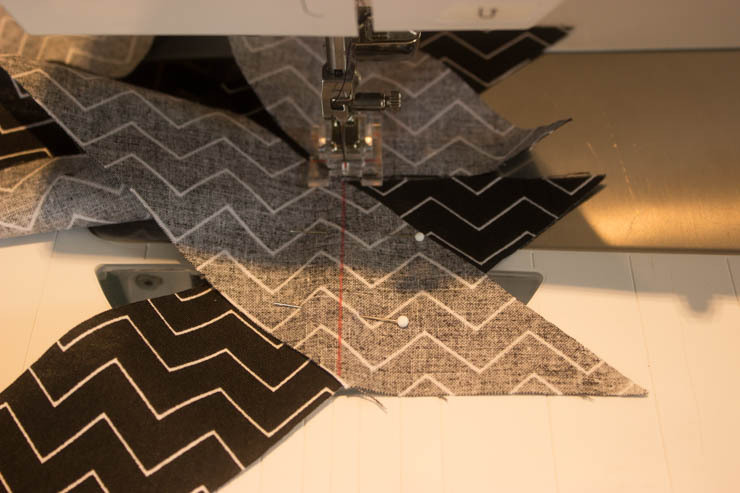 For most of my needs I like a finished binding width of 1/2″, which means I start with strips of fabric 2 inches wide, or 4 times whatever I want the the finished width to be. 1. 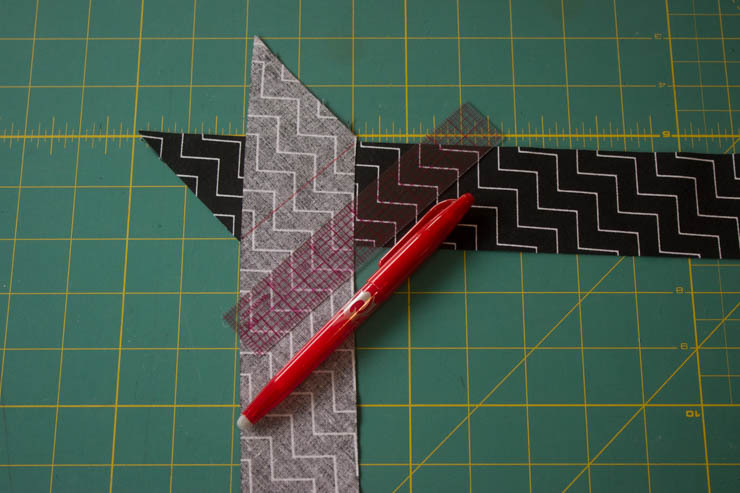 Draw a line on your fabric at a 45 degree angle to the selvage edge, and then cut on this marked line. This 45 degree line is called the true bias. 2. Next, cut 2 inch wide strips from the bias edge. 3. Right sides together, lay 1 bias strip on top of another, and draw a line at a 45 degree angle and pin. Make sure that the direction of the line will create a long continuous strip. 4. 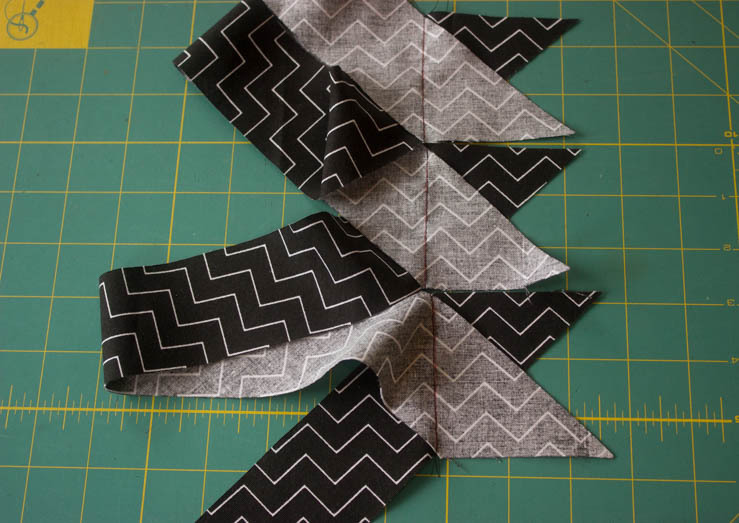 Continue in the same manner, adding as many strips as you need to create the amount of binding you want. 5. Arrange several (or all!) 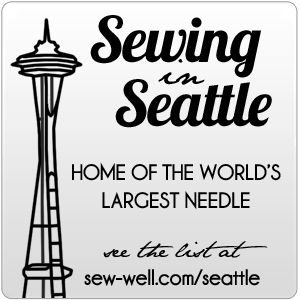 “pinned junctions” on top of your sewing machine, and sew in a continuous path. 6. Cut the stitching apart, and trim the seam allowances to 1/4 inch. 7. Press the seam allowances open. 8. 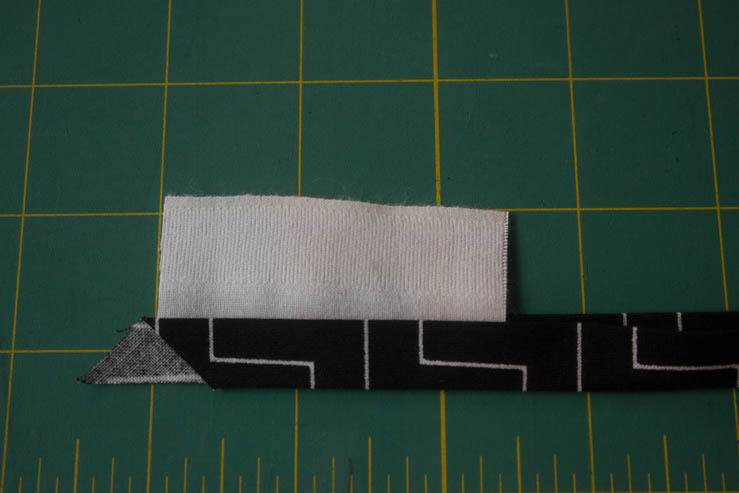 Insert one end of the bias fabric strip into the Clover bias tape maker tool. 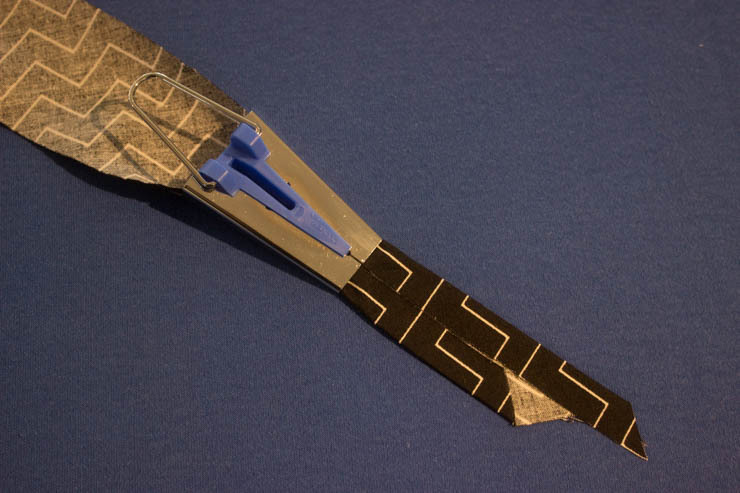 You might need a wooden skewer or pin to help get the fabric moving through the tape maker. 9. As the bias tape comes out of the narrow end of the tape maker tool, press with your iron. 9. Press again in half, slightly favoring one side. You just made your very own bias tape. Congrats! I’m glad to see that Clover tool in action. I have several but haven’t tried them out. 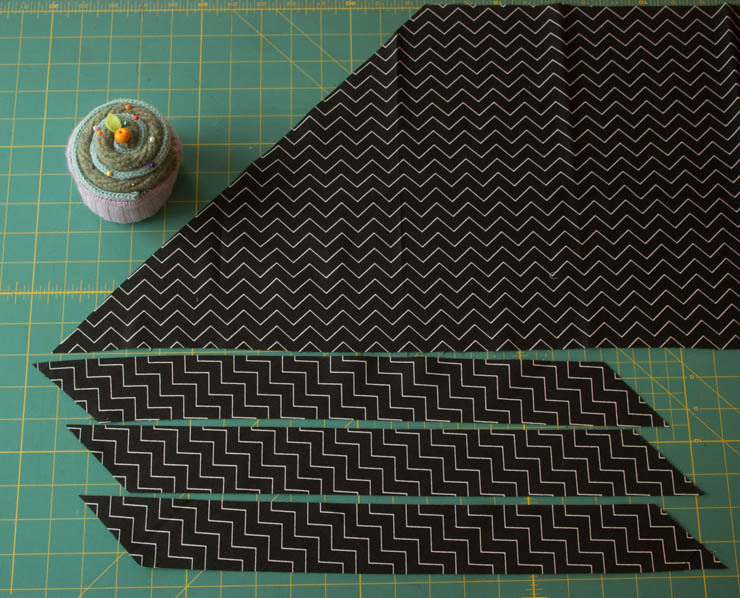 I’m about to make bias piping from a knit. Pray for me! May the sewing goods be with you, Julie!! Maris – I’ve been curious about the Clover bias tape making tool, so this is great. The wooden skewer tip, too. A little off subject, but I couldn’t help noticing the cupcake pin cushion. A couple of years ago, I saw a making of cupcake pin cushions, got inspired, and collected some wool materials. Then the website that had the tutorial video took the tutorial down by the time I was ready to make one. What did you use to stuff it? These seemingly easy projects can get tricky and I just want to make it *right*. Thanks Micki! I can’t help you o the cupcake pincushion – it was a gift from a sewing friend. 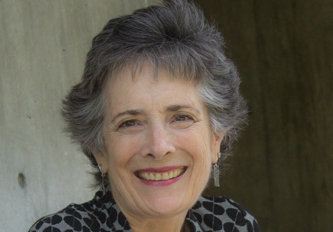 Thanks Jeni – very sweet of you to include me! Wonderful to get to see you in person today, Maris! I bought a couple of these Clover bias tape makers when I visited Japan, but when I tried to make bias tape with them I couldn’t get the fabric to feed through. I will try again, now that I have seen your tip. Thanks!! Hey Sally, fun to meet you too! Glad you linked my top.